and some good French wine. glass pyramid at the Louvre in Paris. Now that's exciting. work from abstract to realist. did not get her last name), Me, and artist Deborah Anne Nero. I met some of the artists, and we had wonderful discussions. experiences in the art world around the world. Fascinating. about to go into the show. Labels: Art Shopping, Carrousel du Louvre, Paris. France. 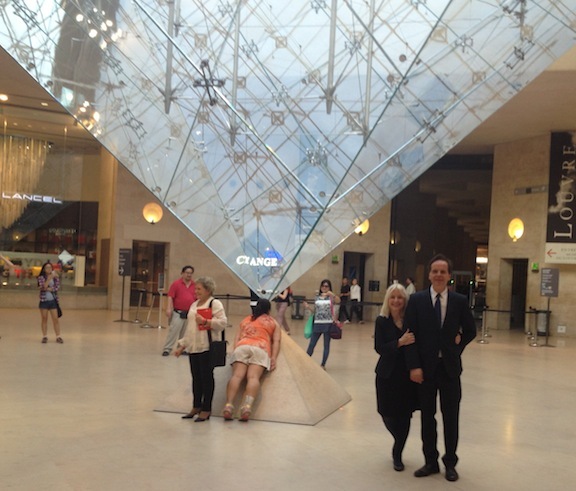 at the Louvre. Barbara Muir © 2015. Breakfast at the Skylight Diner NYC. It looks like a fabulous show and your painting sings! You both look gorgeous and I'm so glad you had this chance. 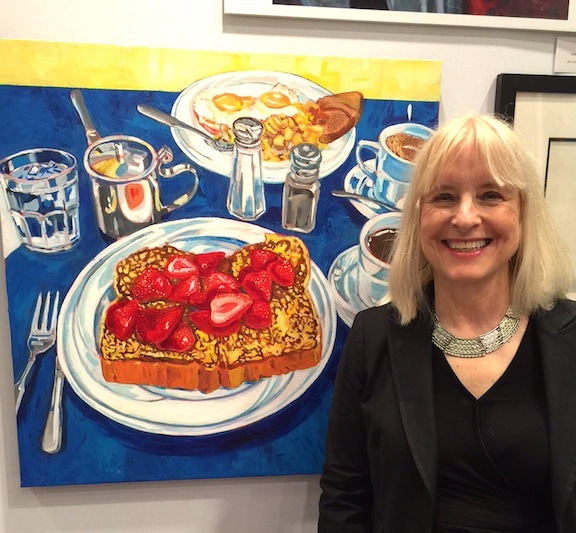 Your breakfast painting looks fabulous!! I predict that on your next Paris trip you'll stay longer! You are beaming with joy and absolutely adorable! I'm so happy for you. It's a wonderful painting, Barbara. architecture! And everywhere we go beauty! so sweet, and thank you so much! Congratulations Barbara, what a wonderful experience for you and such an exciting trip...you look delighted, and just shining. Your painting is joyous. I'm very happy for you. we're home and haven't quite touched down! Thank you so much. It was such a joyous time in Paris. I loved the people I met, and Paris is simply gorgeous! Yay!! Fantastique!! So happy for you.